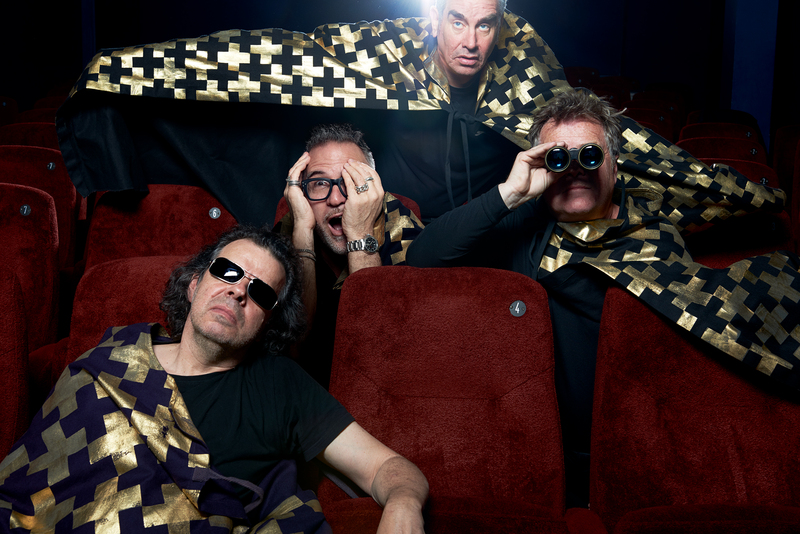 Legendary post punk provocateurs The Pop Group have announced details of a brand new studio album. Honeymoon On Mars will be released through Freaks R Us on Friday October 28th 2016. Produced by dub titan Dennis Bovell, who worked on their seminal Y album debut, and Hank Shocklee, producer of Public Enemy’s seminal first three albums as a member of the Bomb Squad. Bovell has produced the bulk of the sessions while Shocklee took the helm on City Of Eyes, War Inc. and Burn Your Flag. Their long out of print second studio album, For How Much Longer Do We Tolerate Mass Murder? was reissued earlier this year followed by an official live bootleg The Boys Whose Head Exploded, that came with a bonus DVD of rare performance footage from the Don Letts Punk Rock Archives. Finally, they undertook their first proper worldwide tour around the release of Citizen Zombie, a stretch which included dates in Japan, Australia and America, an acclaimed two night stint in New York, multiple showcases at the SXSW Music Festival, a seven night run across the UK culminating in a sold-out gig at The Dome in Tufnell Park, London, a slot on the John Peel Stage at Glastonbury and memorably charged performances at Iceland Airwaves, Le Guess Who in Utrecht & Belgium’s Sonic City festival. The Pop Group will be performing a rare stint of dates across Europe this November with dub maestro and producer Dennis Bovell at the controls.